Posted by mrsjoujou in Eating and Drinking by city, Smoked & Stacked, Washington D.C. 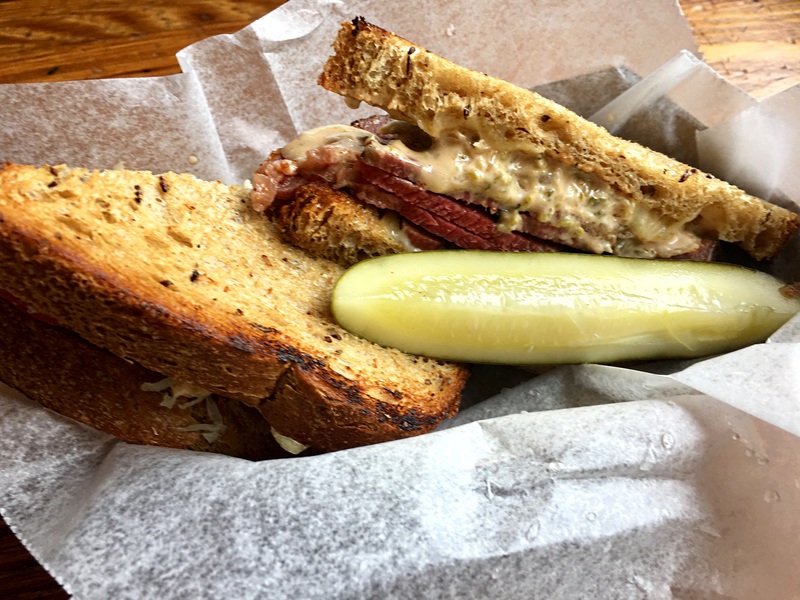 It was a good pastrami sandwich but tasted a little saltier than the first time I had it. 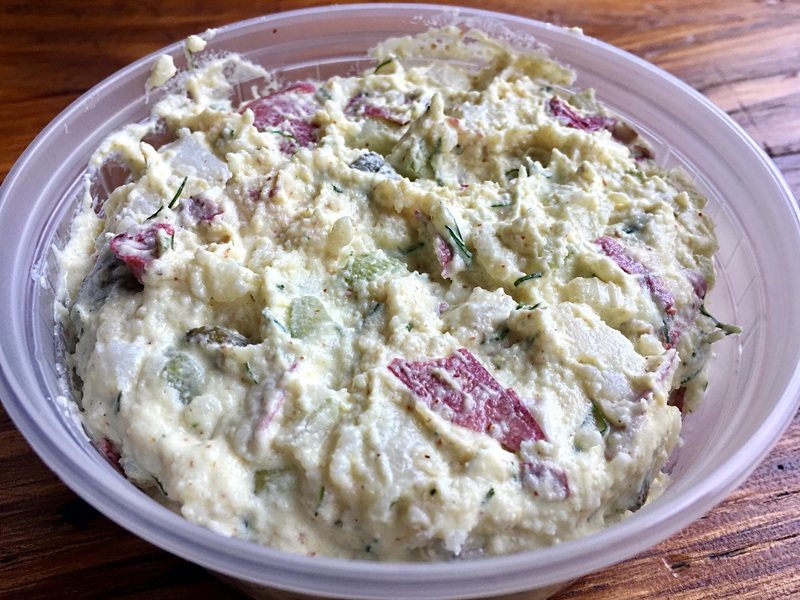 It was your typical creamy potato salad. 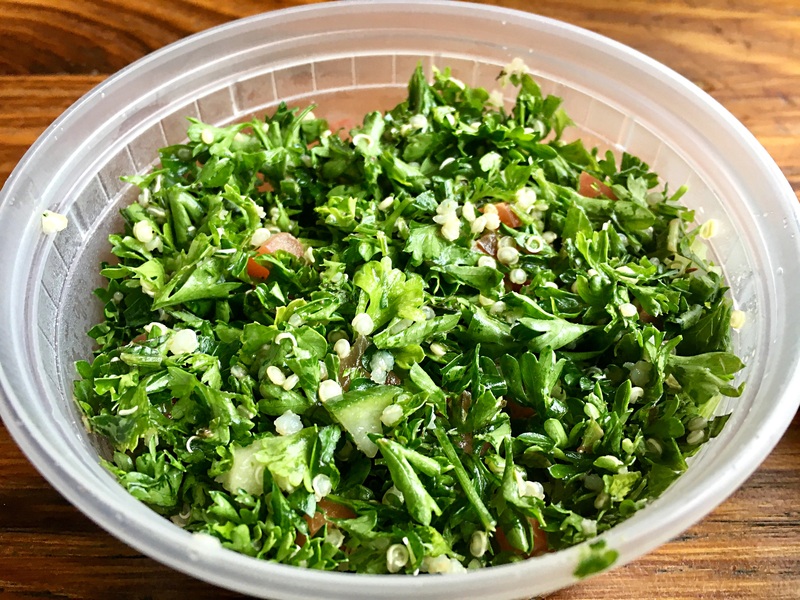 They should just call this a parsley salad! Where is the bulgur? A little more tomatoes would have done wonders too. 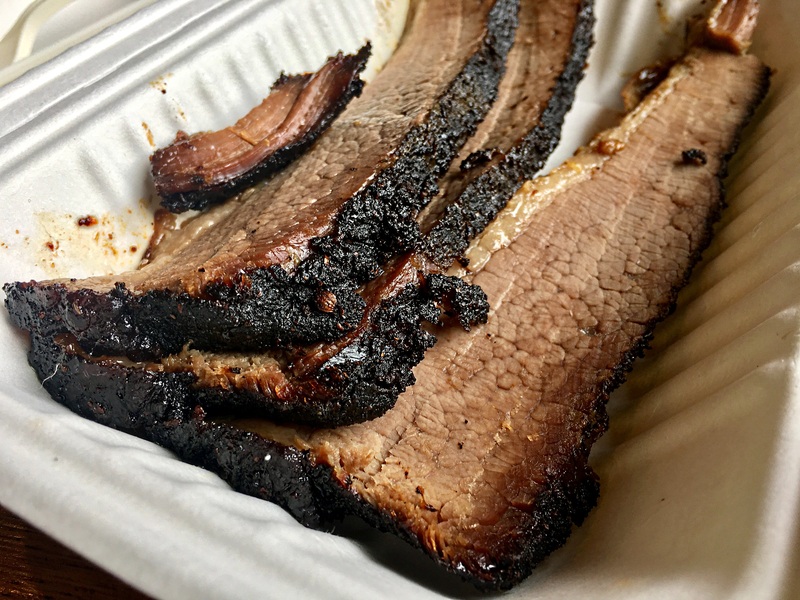 As we took our first bites, we were unhappy with the dry mess of the brisket. It tasted like it was a left over from the day before. We tried to eat it but considering they charged $19, I finally walked to the counter and told a staff about the problem. She said she will replace it with a new one. The new one tasted better but still was a chore to eat because it was still too lean and overcooked to enjoy.